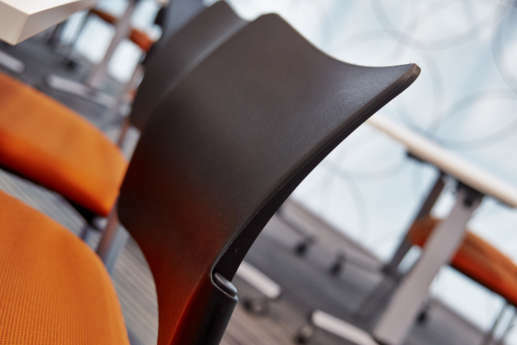 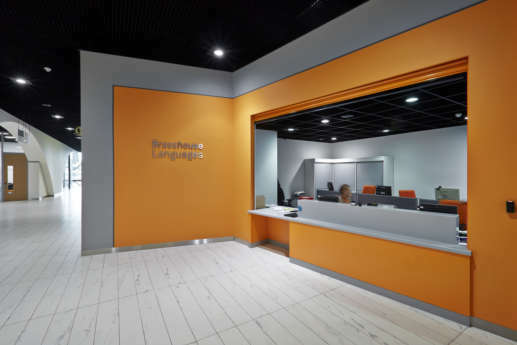 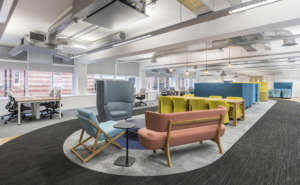 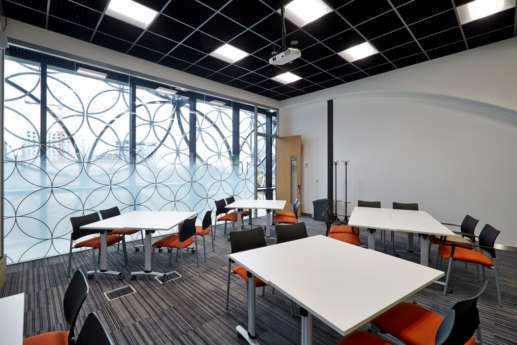 Brasshouse Language School chose Overbury to fit out their new space in the Library of Birmingham, which has enabled them to extend their opening hours and create a world-class teaching facility for their students. 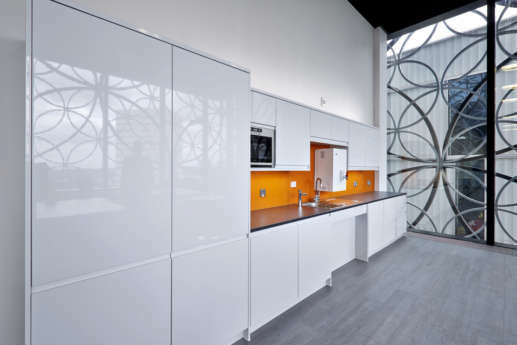 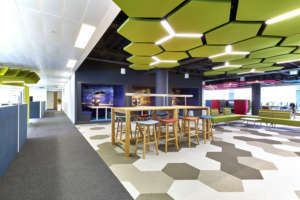 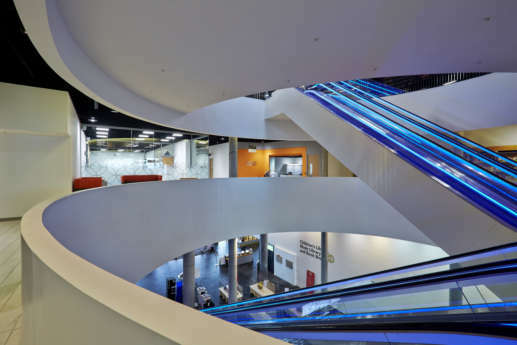 The school was relocating to the iconic Library of Birmingham building to enable the school to extend their opening hours, create new teaching facilities and also provide their students access to the biggest public library in Europe. 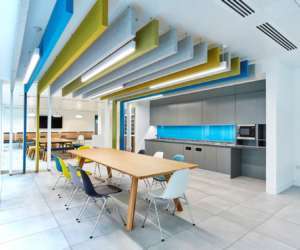 The Brasshouse Language School chose to partner with Overbury to bring their new space to life. 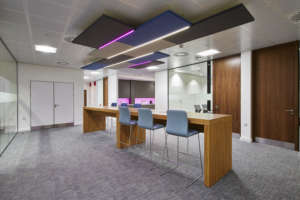 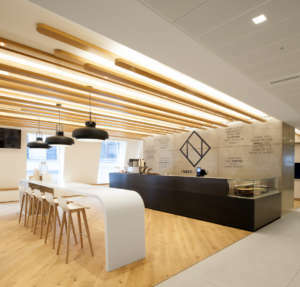 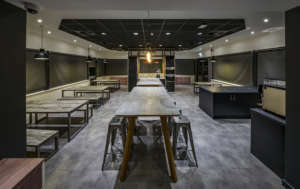 The fit out consists of a flexible layout with a new reception, breakout area, WC facilities, tea point and a series of high-spec classrooms. 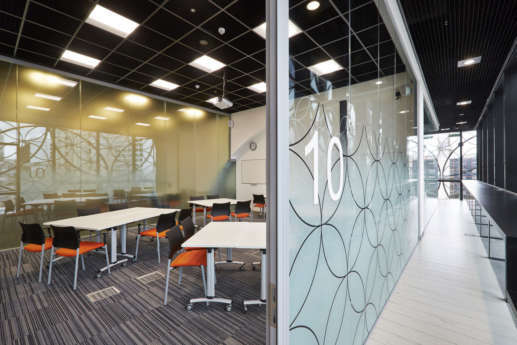 The classrooms are comprised of both full-height double glazed partitions and solid partitions, which lend a sense of openness to the spaces. 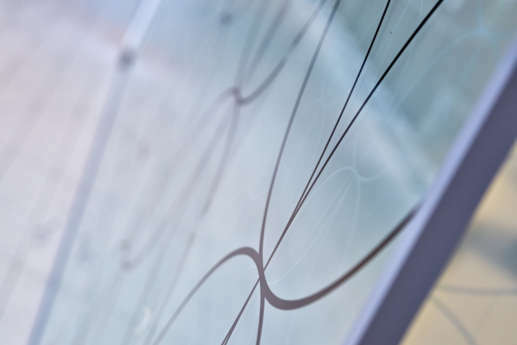 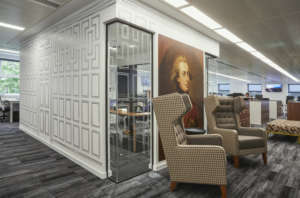 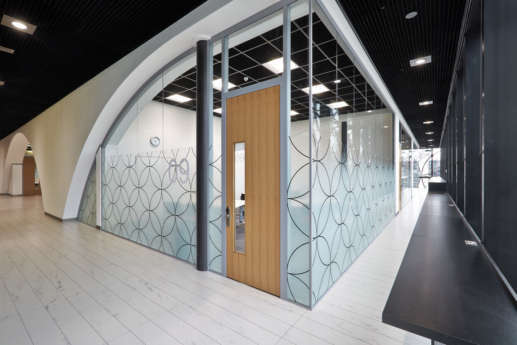 A circular pattern motif was applied to the glazing via a film manifestation, which provides privacy in the classrooms. 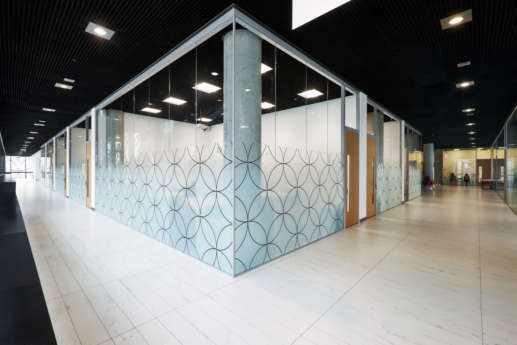 Special consideration was given to the detailing of junctions to ensure that acoustic performance was optimised. 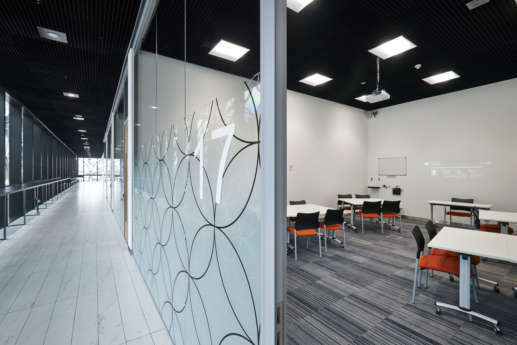 The classrooms are also fully equipped with AV and presentation features to facilitate an immersive learning experience. 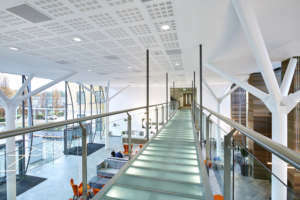 The relocation to a single floor within such an iconic building has provided the school with an environment and facilities that reflect their high standard of teaching.